Our team has it all: over 50 years of leadership in the metal roofing industry, over a decade of experience providing aluminum metal shingle roofs and aluminum standing seam metal roofs specifically tailored to the New England climate, as well as the skills and resources to design, install, and maintain top-of-the-line metal roofs with style and function. We are so confident in our products and services that we offer a Limited Lifetime Warranty on all our residential roofing systems. We plan to fit your home in Providence, the heart of Rhode Island, with the best of the best that will stay with you every step of the way as you enjoy the benefits of your new metal roof. We are happy to help you with any roofing problems you may have. Call us at (866) 303-2002 or fill out our online form to get a free estimate on a roof today or to get more information about our products. 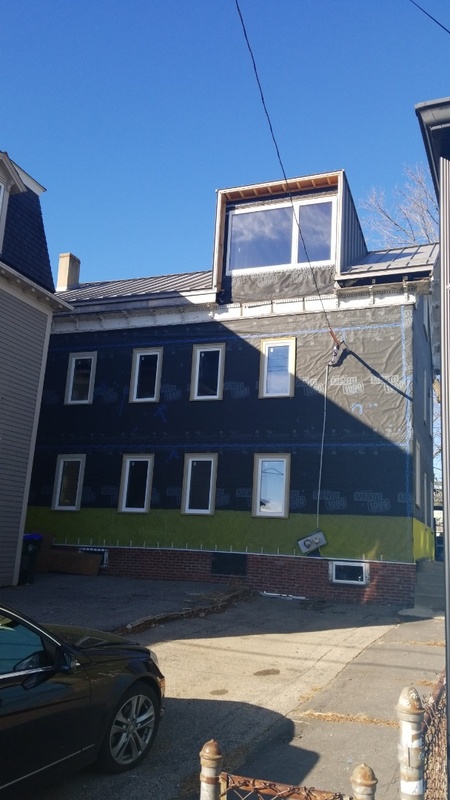 A beautiful two story townhouse looking to upgrade its roof to a lifetime aluminum standing seam roof in the historic downtown area of Providence RI. Renovation of Federal period home. Standing seam roof, aluminum.